Metalphoto anodized aluminum combines unusual durability with a long-lasting quality appearance. 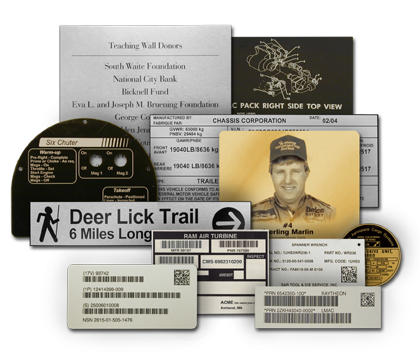 Metalphoto nameplates and panels function perfectly for years, maintaining their original good looks under a broad variety of challenging environments, including high temperatures, long term outdoor exposure, abrasion, salt spray and most chemicals. Metalphoto gets its' durability from its' unique process which embeds the image within a sapphire hard anodized layer.